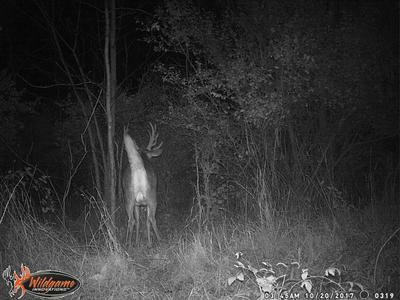 We caught this awesome non-typical on trail cam in the early morning hours of October 20, 2017. He only made the one camera appearance and has never showed his face during daylight hours. We would love to be able to see what his tail is hiding!!! !